Dr. Meschke grew up on a farm in central Minnesota. After high school, he attended Concordia College in Moorhead, Minnesota where he received his Bachelor of Arts degree in Biology. He went on to the University of Minnesota School of Dentistry to earn his Doctor of Dental Science degree, graduating in 1988. He has practiced general family dentistry in Chaska ever since. Dr. Meschke has always maintained a focus on offering progressive, highly-technological and esthetically pleasing dentistry. His passion for dental science and the art of natural beauty come together to create strong and healthy smiles. He takes a comprehensive approach to dentistry because of his genuine concern for patient’s overall health and well-being. Equipped with modern technology including CEREC® same-day crowns, Dr. Meschke maximizes patient comfort while accurately restoring teeth. Dr. Meschke is a trainer for Patterson Dental and regularly lectures on digital dentistry and the CEREC® restorative process. He is also an active member of the American Dental Association, Minnesota Dental Association, and the Minneapolis District Dental Society. 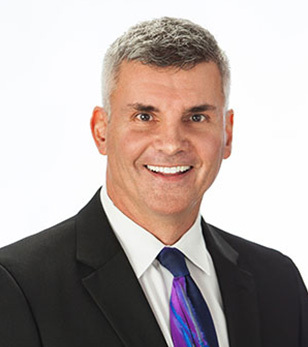 He was also voted a “Top Dentist” in 2007, 2009, 2011, 2013, 2015 and 2017 by his peers in Minneapolis/St Paul Magazine and "Best of the Southwest" in Southwest Metro Magazine. Dr. Meschke has four children: John, Joe, Kelli, and Timothy and resides in Chaska with his wife, Sara, stepson, Ethan and his dog, Jack. Favorite MN food: Foot-long corn dogs from the Minnesota state fair. You’ve got to have one. They are greasy, salty, and delicious!